Following our successful renovation of the MGA Twin Cam it was announced, after much speculation and debate, that our next project would be the full restoration of a 1960 Standard Ensign. 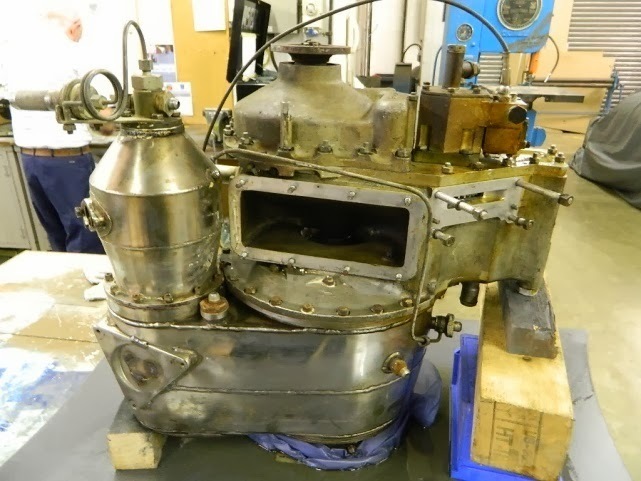 However, although the car was ready and waiting, we’d been asked to renovate a Rover gas turbine instructional unit first. The unit was designed to train students at technical colleges and universities. 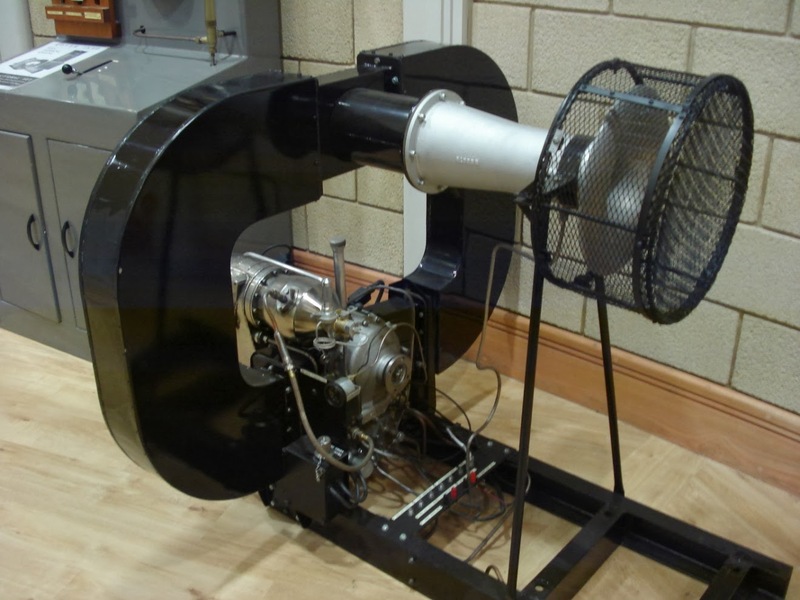 Basically it’s a Rover 1S/60 gas turbine unit mounted on a frame, to which a variety of instruments can be connected to demonstrate to students the operation of a gas turbine. 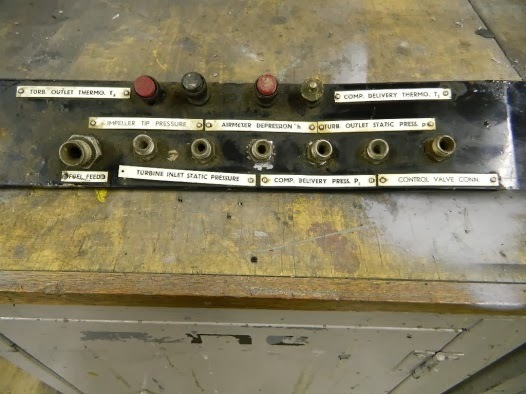 Whilst the engine was never likely to run in anger again our brief was to fully service it as well as renovate all the attached components of the complete unit. 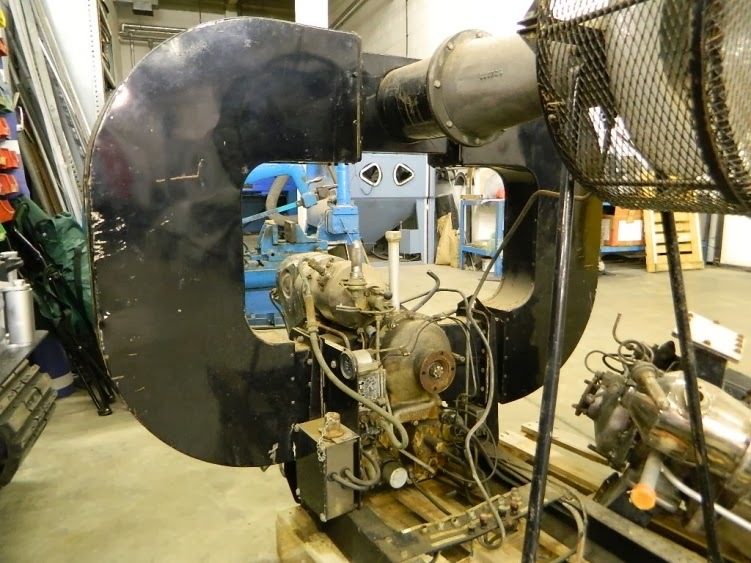 For this task we were fortunate enough to have an old spare engine available from which we could take any replacement parts. The job of dismantling the unit was quite time consuming as there were lots of nuts and bolts to undo, with many difficult to access. Also there were large rubber seals between the flanges of each section of ducting which were effectively gluing the parts together. 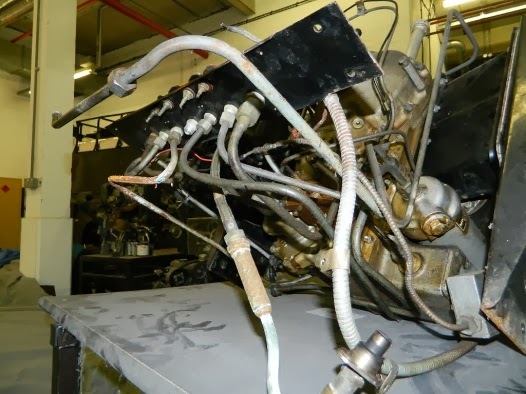 The wiring and piping to the engine was very complex and not something most of us were familiar with. However, once again our policy of taking lots of photographs of each item before and after dismantling helped us greatly. All the paintwork was undertaken by brush or aerosol with hours spent flatting and repainting in order to get a top quality finish. 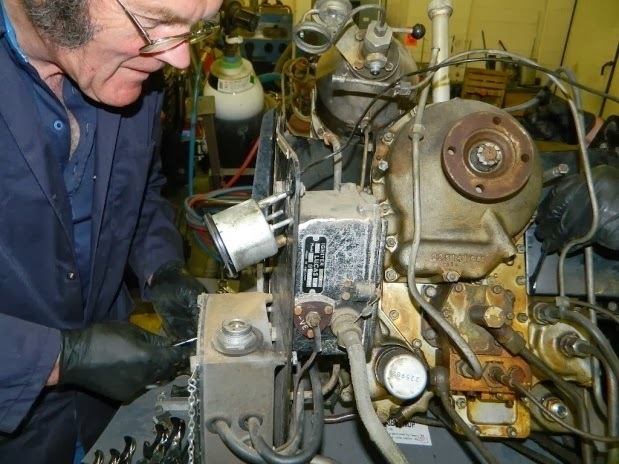 The main engine unit itself was dirty with early signs of surface corrosion or oxidisation, but mechanically it was in good order. Cleaning up the alloy castings was achieved with hours of elbow grease and thinners. For such a complex and unfamiliar project it was reassembled and finished within a six week period. The unit is now on permanent display in the ground floor Rotunda at the Heritage Motor Centre.